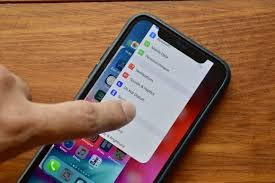 iPhone X users after updating the iPhone to iOS 12 are not able to close or remove app from background as the old way of closing app to free memory is not working anymore. Earlier in iOS 11 when using an app you could swipe slowly from bottom and any apps open would be displayed and you could close the app(s) by holding your finger on an app then an X would show and you pressed the x to remove the app. But this method like in iOS 11 is not working in iOS 12 now. Actually Apple kind of went back to very old way on closing background opened apps in iOS12. If you are trying to force close app in iOS 12 instead of holding you finger on an app to bring the - sign up. Just swipe the app upwards and it will be fully closed.